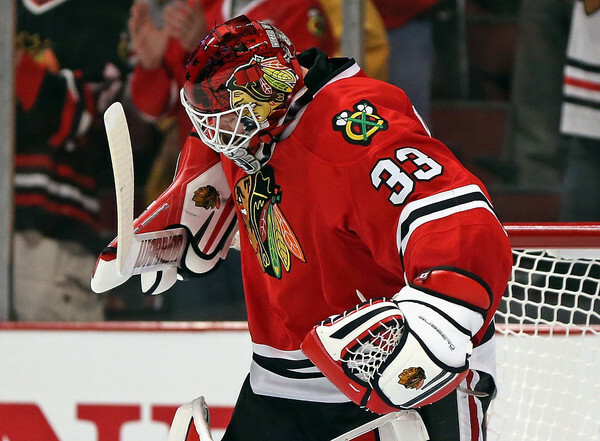 On Friday’s media call, Blackhawks coach Joel Quenneville named Scott Darling his Game Six starter. As long as the Hawks can catch a pass and win some board battles, I like their chances. They need to play with a sense of urgency and convert some chances early. I believe that the news today should help the Hawks to win game 6 and the series, Weber out for the remainder and Darling back in the net. These were crucial developments today for the Hawks IMO. Its the right call…game five was pivotal, cannot risk anything for a game six at home and Darling will be up for this and cool as a cucumber. All hands on deck for this one. Is T2 going to play tonight? I hope so. I have to say I am more nervous about the game this evening then any I can remember in quite long time. The clock isn’t moving quickly enough! Preds are funny team in that I haven’t built up any hate for those guys apart from the usual suspects like Ribiero. They are workmanlike in their approach and can’t be called chippy in their style. Gaustad is ornery and hates to get hit. He can be taken off his game with some physical play from the Hawks. We need Bickell to bring full force tonight, Desjardins, Vermette too. Preds D men like Hawks top 4 must be pretty worn out so get on those guys with a solid forecheck and pucks will get coughed up. I hope the Hawks don’t overpass tonight and just try and get quick release/1 timers towards Rinne. If Hawks get some quality screens in front of the Preds crease I think we will get some bounces that they didn’t get Thursday. I thought this series would go 6 when it began, and man do I hope I’m right. 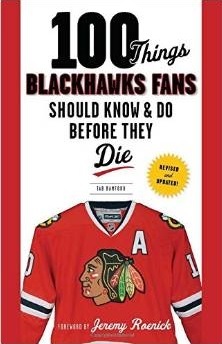 Can’t wait to head down to the UC. Remember everyone, breathe in, breathe out. Let’s hope the crowd is in it the whole game-it would be a positive sign.